Besides allowing you to obtain top quality vegetable milks, your vegetable milk maker will save you a lot of money. The table below shows you how much you can save and how long it takes to recover the money you invest on your milk maker. The example considers that the total cost of the machine was EUR 120, the cost of purchasing vegetable milk is on average EUR 1.90 per litre and the cost of producing the same amount of beverage using the machine is EUR 0.20 per litre. To calculate more approximated values, please use the calculator here. If you only use the milk maker to make tofu and assuming that the tofu you buy costs EUR 4.50 per kilogram, and the total cost of the tofu kit is EUR 20, the savings table is as follows. Note that in this case both the milk maker and the tofu kit are being taken into account to calculate how long it takes to pay off. The total investment considered is EUR 140. However, you will probably want the soymilk maker not only to make tofu, but also to make vegetable drinks. Hence, the pay-off time should be considerably shorter. 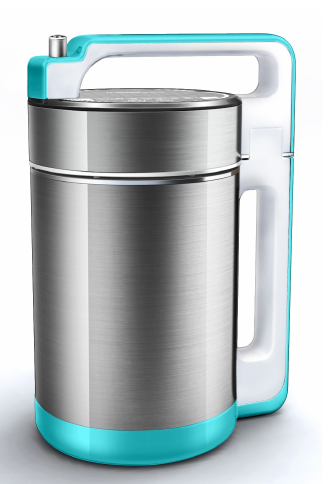 Order your soy milk maker now!